except you have to wear pants here. 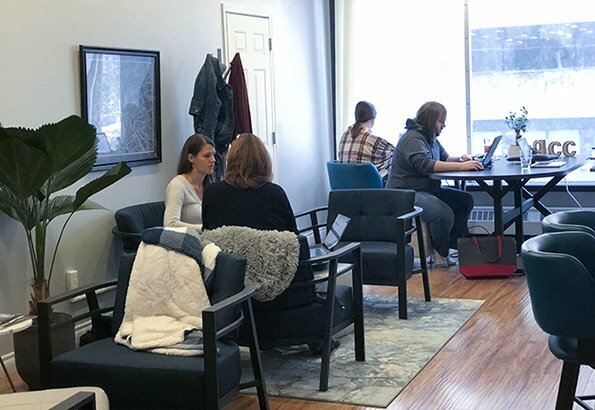 At Queen City Collective, we’ve started coworking in Regina by championing those who work for themselves. We believe that working for yourself doesn’t mean you have to do it alone or in a traditional office space. We have created a space for likeminded individuals made up of Regina’s freelancers, small businesses, non-profit organizations, entrepreneurs and solopreneurs to merge their journeys together in a place where you can carve your own path but have the collaborative support of one another to help you navigate your dreams in the right direction. 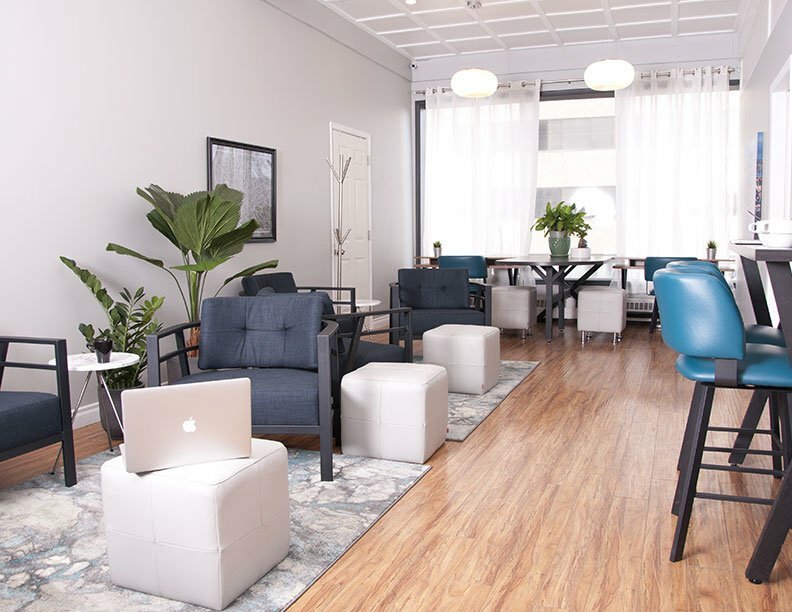 Our coworking space is more than your traditional office rental space. We have both private offices and open space areas for our members to work that include WIFI, office supplies and printing, as well as meeting rooms available to our members and the public – everything you’ll need to be affective. Sounds pretty awesome, doesn’t it? Wait…there’s more. We believe that you produce your best work when you’re in a space that makes you feel like a superhero. That’s why we’ve teamed up with some fellow entrepreneurs who just happen to do things a little differently, just like us. Meet Recharge Café. They’re the people that make us more than just a shared workspace. We’re also a place where you can eat good food to fuel your brain when you need to reenergize. So when you walk through the doors of the QCC, you’re going to walk into a community of movers, shakers, and creators that have come together under one roof to work smart, play hard, and celebrate life every damn day. What do you say, are you in? Queen City Collective is a community work space that celebrates the pursuit of entrepreneurship through collaboration, creativity, and innovation. At the QCC, we believe that work shouldn’t have to feel like work. Our environment is a reflection of that. Our space is warm, bright, and colorful and there’s always good energies and conversation floating about. Book a tour to check out the space and make yourself at home while you’re here. One-on-one meetings, group meetings, conference calls, team building, brainstorming sessions, workshops, or a movie & popcorn night. 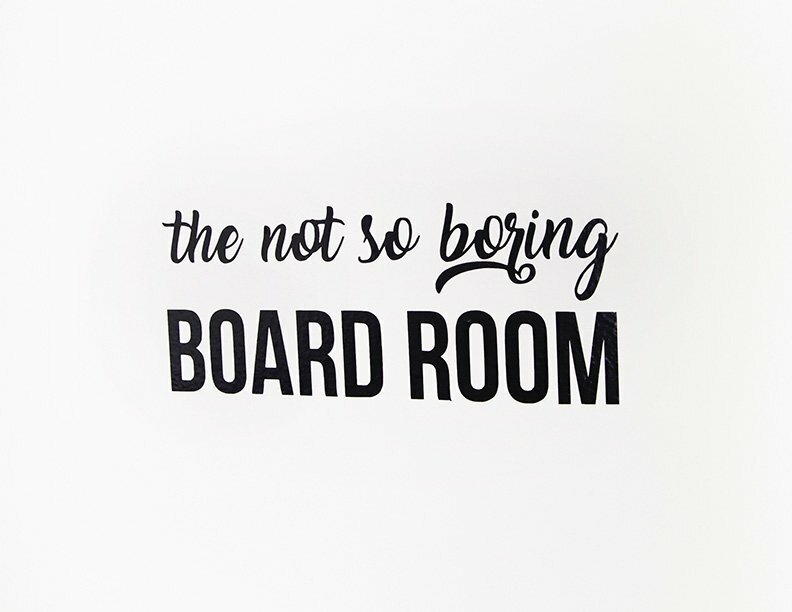 The boardroom is available to members and non-members whenever you need a quiet space to get sh*t done. It can accommodate groups of up to 12 and is equipped with some great amenities. We’re serious about the movie & popcorn thing too. 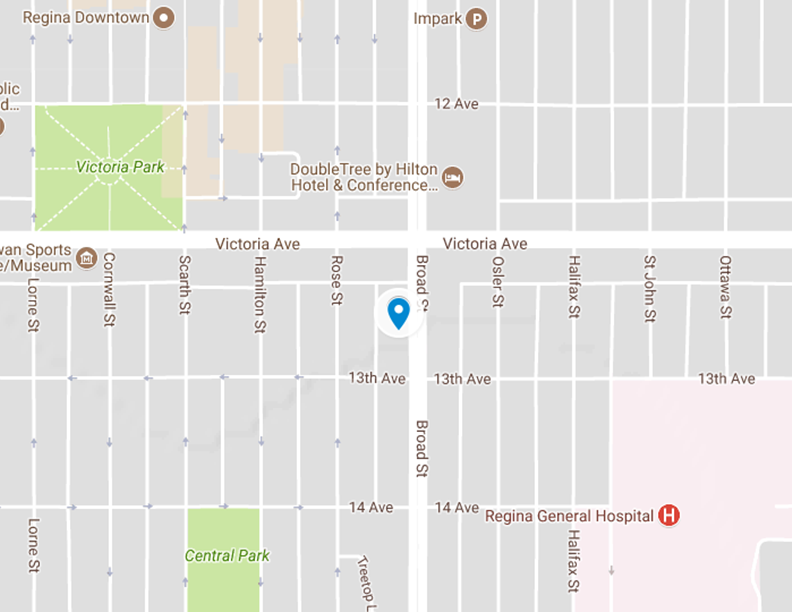 Regina Downtown is our home, and we’re happy that we get to hang around a bunch of other local businesses that love the city as much as we do. Consider this our own version of a “community bulletin” where we spread all the good that’s going on in our neighborhood. 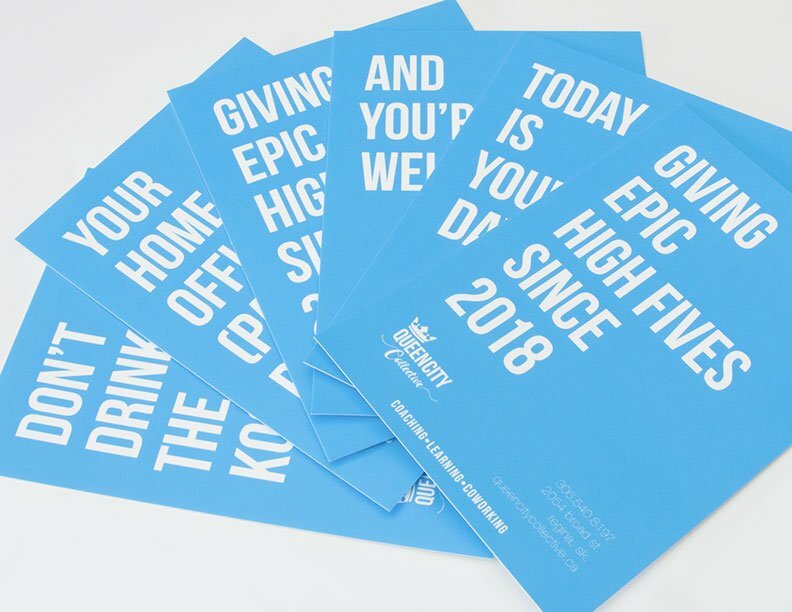 Whether it’s celebrating success in the world of co-working or right here at the QCC, we’ll keep you in the know on who or what deserves an epic high-five and how you can find creative ways to celebrate the small wins, big wins, and everything in between. Meet Recharge Cafe. Our next door neighbor that serves up the tastiest plant-based vegan creations in the city. A productive workspace isn’t complete without good (and super healthy) food to fuel your day and as a member of the QCC you receive a special discount and first dibs on whatever they’ve got cooking up in the kitchen. 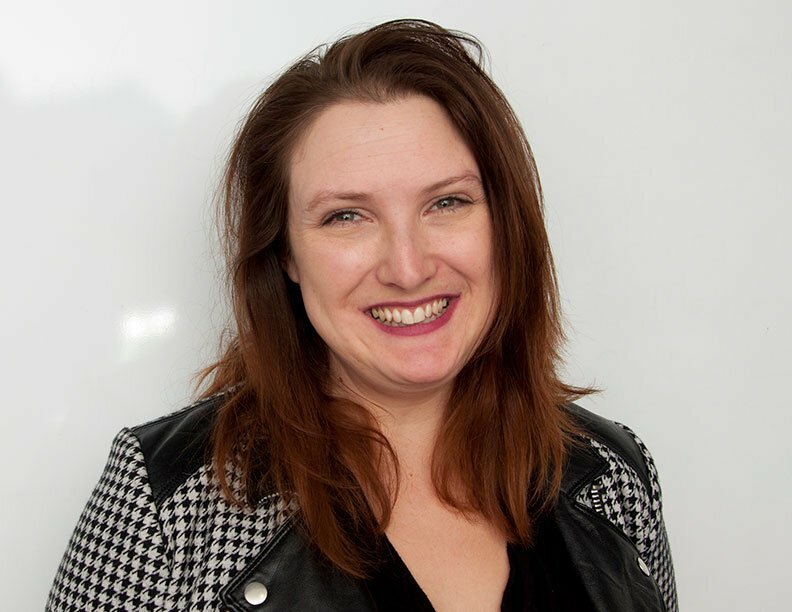 Christina Carlson, the brains behind the QCC operation, is a business management consultant that specializes in breaking down the processes and systems inside a business to eliminate problem areas and rebuild internal structures so that they are organized, efficient, and productive. For each member of the QCC, Christina shares her expertise through one-on one business coaching and mentorship to provide entrepreneurs with the resources to grow and manage their business. Join our online community and subscribe to our newsletter to stay up-to-date with everything happening at the collective!